I won’t let the weather beat me! The minute anything looks vaguely dry I’m off to check it out. 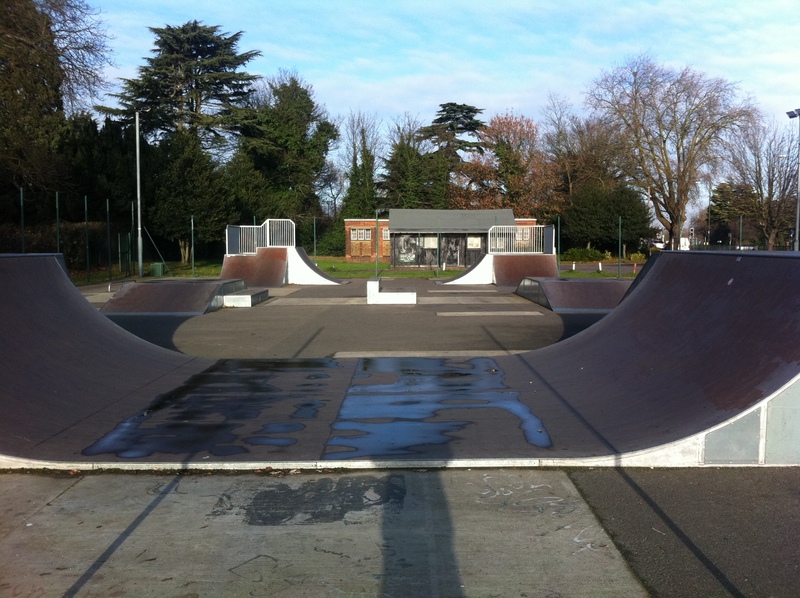 Pedalled up to A10 skatepark today to ride it for the first time. Its a lot smaller than it looks on the photos I’ve seen – the grind box is so short you’re off it before you’re on it! 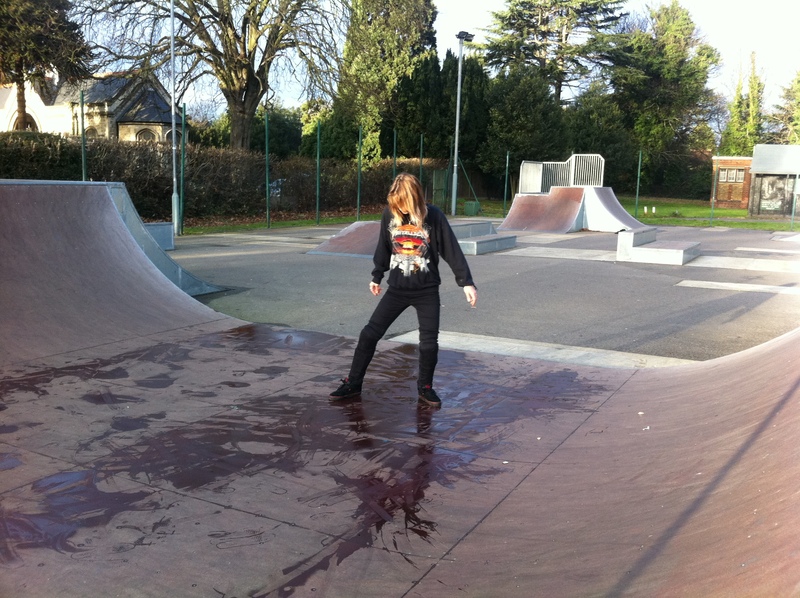 The mini ramp was wet when we got there so I tried to dry it off. I’ve never ridden a mini ramp on a BMX before so was doing some little airs on it but shitting myself like a loser whenever I got close to the coping. there’s no bloody way I’m using that jumper. It’s a treasure! !